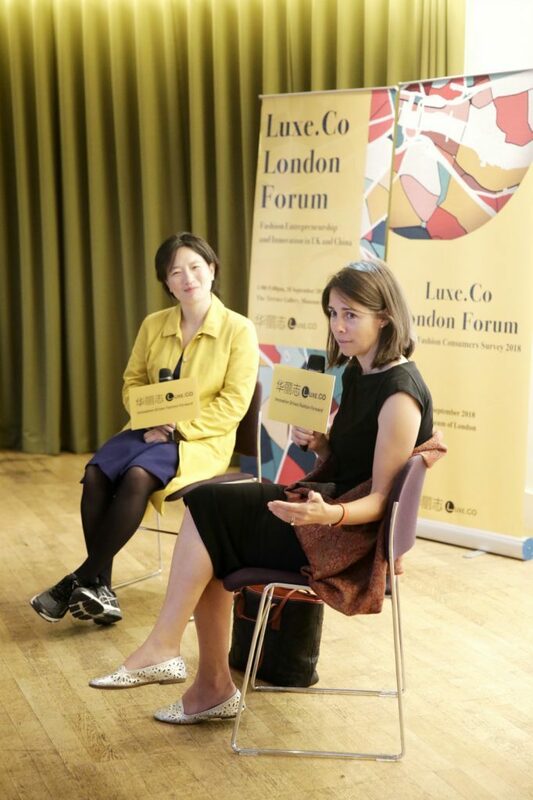 Luxe.Co London Forum was held on Tuesday 18 September 2018, over which the Luxe.Co proprietary report “Chinese Fashion Consumers 2018” was presented. This groundbreaking event connects entrepreneurs, designers, investors and innovators of fashion industry from both UK and China, to discuss some most relevant topics on the future of the industry. Kresse is a multi-award winning environmental entrepreneur and Young Global Leader with a background in venture capital and significant start-up experiences. 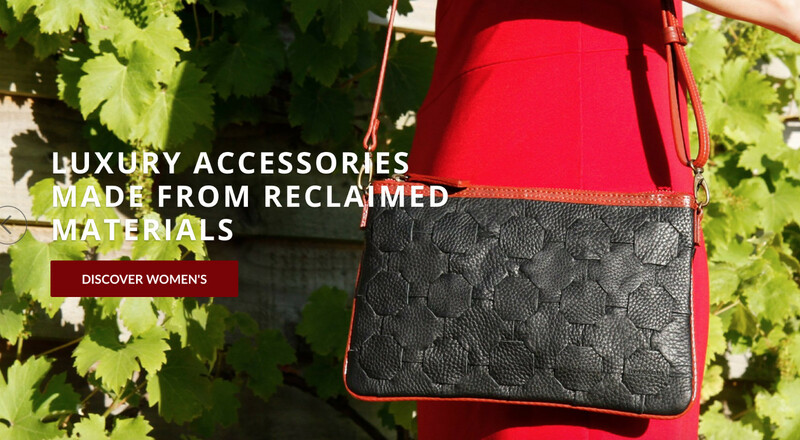 In 2005, Kresse and Elvis launched Elvis & Kresse, which turns industrial waste into innovative lifestyle products and returns 50% of profits to charities related to the waste. Elvis & Kresse’s first line is made from decommissioned fire hose, 50% of the profits from this line are donated to the Fire Fighters Charity. The company now collects 12 different waste streams, has several charitable partnerships and is involved with collaborations across industries, including most recently a five year partnership with the Burberry Foundation. 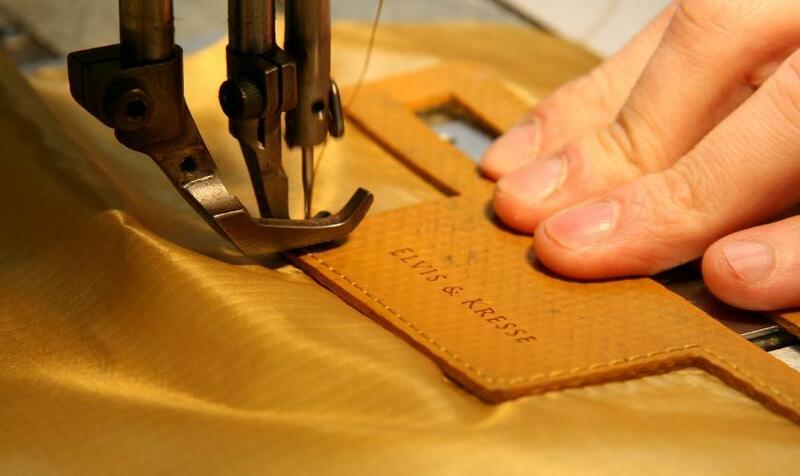 Actually it was about 1 year ago, when we published a story about Burberry inked a deal with a startup company to give new life to leather off-cuts. Out of almost all our articles regarding sustainable fashion, this one was the most popular, seemingly it has opened a new window to our elite readers, showing the potential of sustainable fashion and how a big brand can actually collaborate with entrepreneurs to make such good things happen. So firstly would you please introduce about how you come with up this idea? Kresse Wesling: We started the company in 2005, because we discovered that in the UK, 100 million tons of wastes were going to landfill every year, it’s kind of like an unconceivable amount. So I went to many of the landfill sites to see what these wastes look like, and one of the first materials that I saw, which was truly beautiful was London’s fire hoses. They spent 25 years in active service putting out fires, and if they are too damaged to repair, or if it reaches the end of its health and safety life, then it goes to landfill because it’s no longer useable as a hose. We thought this was really a sad way for such a beautiful material to die, particularly because when we started researching fire hose, we found out that Louis Vuitton and Goyard and many brands, they use similar material in their collections, and fire hose is actually just a more expensive material than they use. We knew we have this really incredible raw material that was free to us, and all we have to do is find a way to make it as attractive and lovable to people as it is used to be and from the fire hose collection we give 50 percent profit to the fire fighters’ charity.So we use the fire hose to protect the firemen and it’s became a very wonderful way in luxury industry. Maybe I want to talk about briefly about what I think intelligent designs. For us intelligent design is “ you just don’t do one thing well, you just do everything well ”.You don’t just do one thing well in terms of the design or how you run the company.You have to think about the environment, you have to think about your entire supply chain, and more importantly you make all business decisions based on one principle,whether or what we do is making the world better for other people’s grand children,because it’s quite easy to have a business that makes lots money and it’s very selfish and exploitive,but if you are trying to make world better for other people’s grand children it’s virtually impossible to be exploitive. I spent a long time in China, I lived in Hong Kong for six years and I lived in Beijing for a year.Actually maybe the reason why our story resonates there is because it is a country with very long history,it has huge amount of respect for its ancestors and also its children. So I think that’s why china as a whole is taking very bold green steps. Actually sustainable fashion is a very big topic. How do you see it has evolved in the past ten years? Kresse Wesling: A lot of brands, maybe ten years ago they were doing things like looking at their overall water consumption, or maybe they were looking reducing their packages. These are really important activities, but not enough. What we start to see in the last decade is that a lot of brands actually looking more at their core propositions of what they do, so they are looking at their main key raw materials and the impacts of those raw materials have. The reason they are doing that is because people are increasingly aware of the fact that fashion is the second most polluting industry in the world, and that’s just the fact, after oil and gas, fashion is just NO.2, and it’s killing us. Customer is driving the change, social media and people’s access to the truth is driving the change. It will impact your decisions, it will make people ask questions: what are you doing with you off-cuts. How we came to work with Burberry was that we started looking at leather waste issue in 2010, and we discovered that a UN report said that 800,000 tons of off-cut leather goes to landfill every year. and off-cut has never ever left the factory. This is a cowhide, you’ve cut out the pieces you need, and the rest of it goes to landfill. And that’s because of mosquito bites, or scratch marks, or stretch marks. And if you’re a car company, so if you’re making a dashboard, often you’re throwing away fifty percent of the hide, unused. So Elvis and I found this to be very upsetting, and we started a leather project. And we’ve created a system that turns basically leather scrap into units, so that we can make all new hides. And actually we can make things that are much bigger than hides. We just made a wall for a hotel in Nashville that’s eight feet high and thirty-four feet long. And we can do that all other leather that otherwise goes to landfill. And fifty percent of the profits from that go to renewal energy projects. But Burberry came to us because they produce leather offcuts, and they want to solve that problem, they felt like we might be the innovator to help them solve that problem. 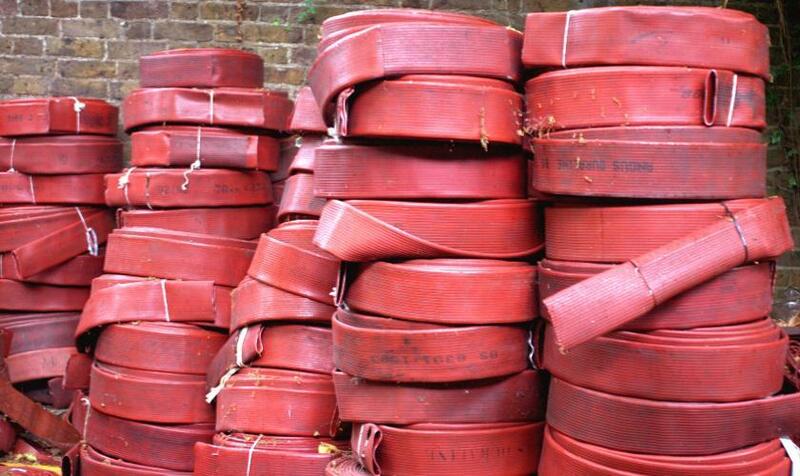 How Does Elvis & Kresse’s System Work? To make sustainable fashion develop in a healthy way, you must have a integrate operating system. For the past ten years, how do you make the system work, from gathering all these wastes, to manufacturing, putting them in the market and marketing? Kresse Wesling: We manufacture everything ourselves, we collect all the waste ourselves.This is very different. We don’t sub-contract, we refuse. Because otherwise, you’re making a beautiful product and you’re forcing someone to work at an exploitative rate. It’s impossible. It does the wrong thing for the role. So the first thing we did was we made things ourselves. The second thing that we do is that we left London, because we started the business in London. But when you’re collecting waste, you need a lot of space. Because in London, the real estate is very expensive. So we went to Kent, and we got a lot of space there. There are a lot of old farms with big barns that you can rent for very low money. Since this is a very good place for us to be. The third thing that we did was we innovated a lot. I mean, none of the equipment that we used existed. So we had to design adaptations for sewing machines; we had to design cleaning equipment; We had to just create it ourselves. And I think the difference we often find between traditional luxury and ourselves is that, in luxury there’s always this belief that there’s established way of doing everything, and there’s the pattern and you must follow the pattern. So they want to draw a sketch and then go get the materials to make this, and then, who cares what happens at the end. And Elvis and I do the opposite. We bring the waste into our house, and then we examine it and analyze, and study it and understand it. And then we base our design on trying to pull out the true value of that material. So it’s completely backward to the traditional process. And the last thing we do is that we do look for these long term partnerships. And they’re all very transparent. So I think the biggest thing for us, that maybe also most different is that we run an open workshop, anyone can come at anytime, we have absolutely no secrets. So when you ask me how many tons of leather off-cuts we have collected for Burberry so far, I will tell you: it’s less than six. We want to make sure all our partners know how we run the business, those partners include fire fighters’ charity, because they look at our accounts. You bring all the things in house, which could be very costly. How do you ensure your business profitable to produce sufficient cash for donation to charities as you have pledged? Kresse Wesling: We have been profitable every year since we started. Elvis and I are both very financially strong. My first job in Hong Kong was at a venture capital company, and when I was researching businesses, many of them failed because of cash flow. We have one big cash flow bonus, all of our materials are free, because they are garbage. Unlike traditional luxury companies, we do not have to buy raw materials. And then actually, I think we have this almost unfair advantage, because people actually want to buy our products just because of the truth of the story behind the products. We don’t have to have crazy, elaborate marketing campaigns. I don’t have to try and convince you to buy them. We have, I think the best story in luxury. So people just choose to buy them. And because we make this donations to our charity partners, that means we have this unbelievable stakeholders. You know, in the UK there are 66,000 fire service personnel. So when we start the brand, and we’re giving half the money away to the fire service, these 66,000 people were all tweeting. So we don’t have to have the same kind of marketing budget or supermodels, or anything like this. Because we have actual people just telling the truth, which I think is unique in this whole luxury industry. It’s a super good business model from every angle. Why are there still not so many companies doing the same thing as you do? Kresse Wesling: Since we started we’ve seen a lot of companies copy with the fire hose. So first, we did fire hose and we had a lot of leather companies in the US who was copying what we did. And actually, we had someone in Europe to do a Kickstarter campaign where they use the photos from our website. And actually we were very flattered by this because I’m not saving all the world’s fire hoses right now, I am only saving all of Britain’s fire hoses, but not the world’s fire hoses. So, we are kind of excited that people were coming in and joining us. But it’s really hard. It’s not just in fashion but in the whole business landscape. And in fashion, the rate of failure is higher, and that’s because you’ve got fantastically idealistic people who often have absolutely no concept of cash flow, so the business falls apart. You know, which is really terribly sad. And I’m quite lucky because I have Elvis. What we are doing now is we want to change the world much faster. Al Gore said 10 years ago that we had 10 years to save the planet, and haven’t done it yet. So, we kind of have no years left to save the planet. And one of the reasons for us to do big partnerships is that we know, by partnering with a company that’s so many times larger than we are, we have a much better chance of solving the problem much faster than if we continue to do it on our own. And I think that’s also maybe a message to a lot of the startup brands is that, you have to decide what you’re trying to achieve. And for us, we’re not trying to grow a fashion empire, we’re trying to solve material problems, and we’re trying to impact the way cataclysm works, because it’s failed. And that means that you don’t have to build a big empire, it means that we have to partner and we have to do that quickly. How about your publicity, do you want to be more and more well known by people around the world? Kresse Wesling: We do a lot of events. We do pop-up events，we have an eco-workshop, people can come in generally quite accessible. My own mobile number is on the website and I have random people call all the time, which is quite fun. And, we get along with PR. I suppose we have a really good relationship with the British press because we make these quick donations. And for a small company to make this fifty percent profit share and commitment, I think, it certainly gained us a lot of friends in the press who have been keen to follow us over the years, and to keep up with our story. And then obviously, you know, working with Burberry helps because they have a much bigger voice than we do, and, you know, when they were in the press, I think it was about a month when it came out about the 29 million pounds worth of waste products being burned, you know, the CEO’s response was “don’t worry, we’re working with Elvis and Kresse”. So, that obviously helps with our exposure, because they’re talking about us increasingly. And of course we would like to be more well-known. But, I think more for our impact and more for our business model than the products, even though the products are amazing. Do you think your background in venture capital helps a lot when you structure the whole thing and make it work? And in your opinion, to start a new fashion brand, how important it is to build a team of multi-talents? 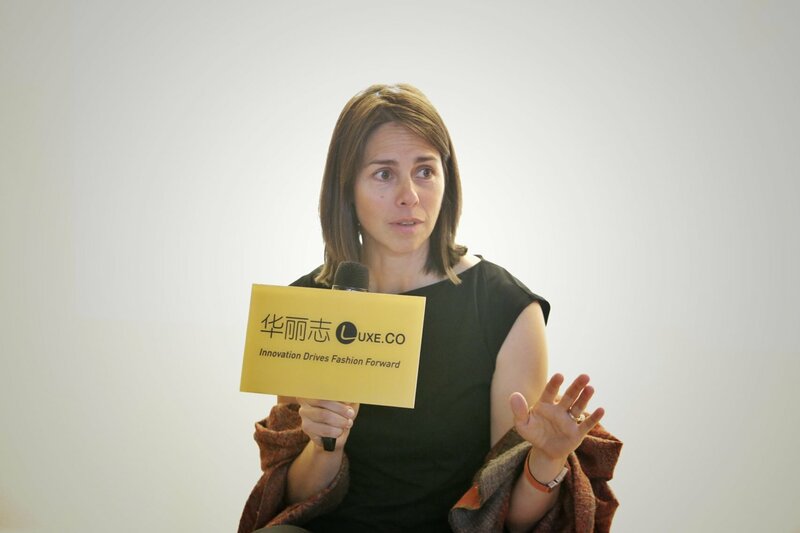 Kresse Wesling: I learned two things from venture capital. One, yes, I learned about how to run a business. I also learned that I really didn’t want to work in a conscious-free zone, which is really what that business was. It had absolutely no morality. And that was not the place for me. And the second question is really good. You know, there were very few people that have all the skills they need to run a business all on their own. And what you have to do right away is recognize what your gaps are, and you have to try find people who can fill those gaps for you. And if you get it wrong, you have to be willing to move on. You know, if not all partnerships work out, just like not all marriages work out I suppose. So you have to be willing to sort of, kind of keep going until you find the right partnership,or the right group of co-founders, or the right group of investors. And, but yeah, I mean, I haven’t met anyone yet who could do everything all on their own. How does your choice of career path affect your own lifestyle? Do you buy new things at all, and do you tend to recycle things better? Kresse Wesling: I buy very few things. And the things that I buy, I buy very well, and I maintain it for a very long time. So the dress I’m wearing today was a dress I got in my first week at venture capital as DKNY. It was very well made, and I’ve been wearing it for 20 years now, on a very regular basis. So I think it’s quite important to buy things that last, and to keep them in service. I also know that it’s having enormous impact on our life because I travel as little as possible. I tend to use public transport, I don’t drive. We do not produce any waste as a family. We compost all of our food waste. We built, I think there is few people in their own home and in their own business who have built their own waste treatment plant, we have done it. So, it’s had a very big impact on everything in life. But actually, probably the most effect is that, every night, when I put my head on the pillow, I find it very easy to go to sleep. Because this is a guilt-free way to live. Because I can feel good. Even if we have a relatively bad day in the business, I still know I’ve saved kilograms of some kind of material. And it really means that you can kind of sleep with an easy conscience. What’s the next 10 years? Any big plans, or is something undergoing? Kresse Wesling: We have solved the British fire hose problem. This is the first problem we tackled. That took us about five years to really get a grip swift. But it’s a relatively small problem. There’s only between 3 and 10 tons of fire hose waste a year. Three tons in a good year, where there’s not burning any fires, 10 tons in the bad year. We got a lot of hose that we weren’t really expecting. But this is a relatively easy problem to solve. So for the next 10 years, I’m looking at eight hundred thousand tons of leather waste globally that I want to solve this problem. So you will be focusing on leather waste for the near future? Kresse Wesling: Yes. I will focus on it until we get to grips with it. And then after leather, I mean, I have a list , because there is still millions and millions of tons of material all over the world that isn’t being cherished the way that it should. And that’s next. Will you open offline stores? Kresse Wesling: I think retail frightens me. And it frightens most people in Europe at the moment, if you’re not already dependent on it. We do seventy percent of our trades online, through our own website. Actually what we would really like to increase is people coming to our workshop, because the impact of people being in our space in Kent is much more profound. They often go back to their communities and they may talk about the wast treatment plans, they talk about a change in relationship with raw materials since they see how we done. NEXT POST Next post: Asia’s first SEPHORA concept store has settled in Shanghai featuring of intelligence, immersion and fully stocked: will it become a new future for the beauty retail industry?